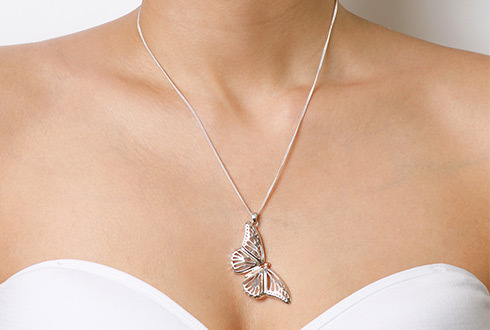 The sterling silver Butterfly locket can be worn either open or closed and is provided with an 18" (46cm) chain. 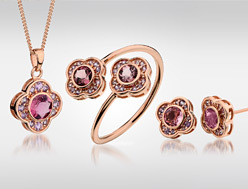 Contained within the Butterfly locket is rare Welsh gold, making it truly special. 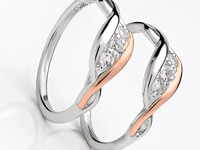 Beautiful jewellery and very high quality! My partner loves it, Cant say anymore, She is very happy with this item. 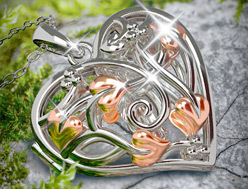 Very pretty - ideal gift. Beautifully butterfly locket. 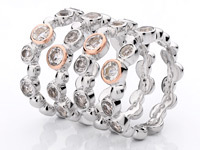 I dont often do reviews BUT this is such an exquisite piece of jewellery I felt I had to. I have never received so many comments or compliments as I have on this beautiful necklace. I prefer to wear it closed but it is so nice having the option of wearing it open and revealing the small butterfly. 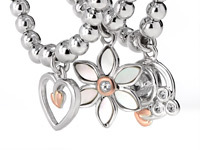 A wonderful necklace Clogau. Praise to your designers. I love love love it. Thank you. My wife loves her present. I purchased this for my wife for an anniversary present. The service was first class and I am pleased to say that my wife loves her present. Thanks to all the team at Clogau. Exceeded expectations . This item is fabulous. Am totally amazed by the stunning design and quality. I am thrilled with this item. Everyone has complement me on its beautiful look. Its eye catching. 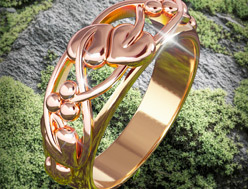 I totally recommend it for that special gift for yourself or someone you treasure. Butterfly Locket. 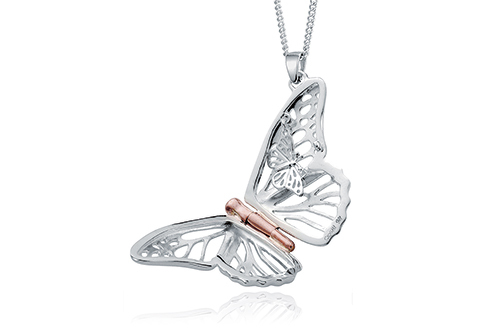 I love butterflies so this locket is lovely. I can wear it closed or open. The only problem is I wish there was a little pouch to put it in so that I could carry it safely on holiday with me. It was a Christmas present. The workmen ship is lovely and the weight is good so it hangs well. 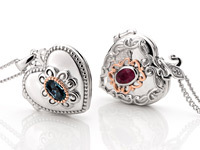 I love the baby butterfly inside the locket when it is open. Order your Butterfly Locket (Large) before 4pm on a working day and we'll despatch your Butterfly Locket (Large) the same day (stock permitting). During very busy periods (i.e., near Christmas and Valentine's Day) your order of a Butterfly Locket (Large) may be despatched the next working day. 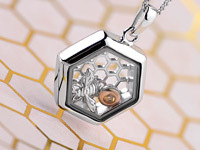 Guaranteed by Royal Mail to reach you the next working day (excluding bank holidays) if you order your Butterfly Locket (Large) before 4pm and your Butterfly Locket (Large) is in stock. Return your Butterfly Locket (Large) for a full refund or exchange. (Except earrings and engraved items, unless they are received faulty). See our full returns policy for more details. 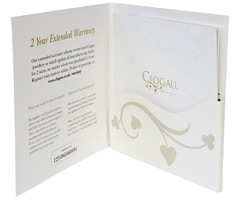 Your Clogau Butterfly Locket (Large) is protected against all manufacturing faults for 2 years with our free extended warranty cover. 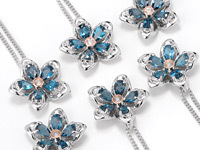 Register your Butterfly Locket (Large) for extended warranty online. 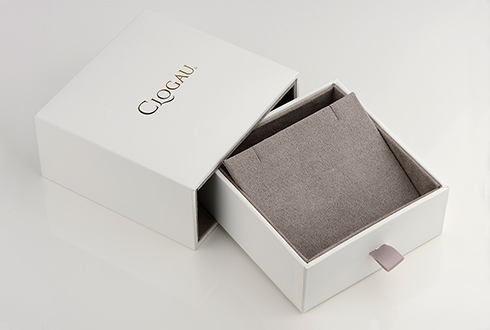 So if you are unsatisfied with your Clogau Butterfly Locket (Large) for any reason, you may return it unworn and in its original presentation packaging, and within 14 days of purchase for a full refund or exchange. 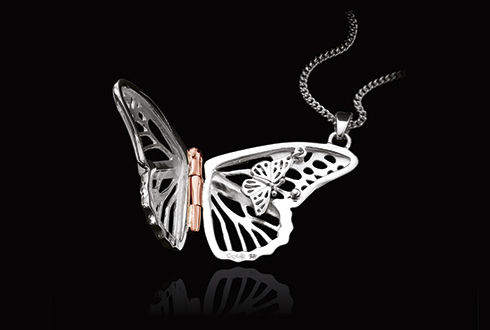 Please note that you must return the Butterfly Locket (Large) in perfect condition and in its original packaging. 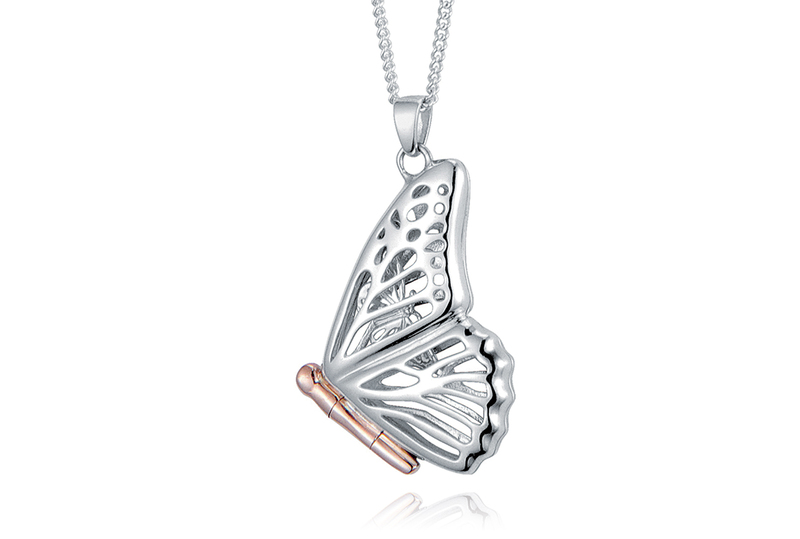 https://www.clogau.co.uk/jewellery/item/butterfly-locket-(large)-3sbwlp 3SBWLP Butterfly Locket (Large) https://www.clogau.co.uk/i/3SBWLP/3SBWLP.jpg 219 GBP InStock Pendants and necklaces Butterfly Journey down to the secret garden where trees, plants and flowers are flourishing, and you are sure to find some beautiful butterflies thriving in their natural habitats. Around the globe, butterflies are symbolic of multiple meanings depending on the context and culture. But wherever you go, the elegant beauty of the butterfly can never be questioned.